Since supplement companies first began including Yohimbe in supplements, there has been controversy. 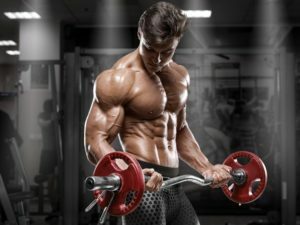 On one side of the coin, Yohimbe is a cheap and relatively effective means for stimulating things like testosterone and fat loss. But, on the other side Yohimbe also comes with a rap sheet of possible side effects that a surprisingly large portion of the population experiences. From pre workouts to fat burners and testosterone products – Yohimbe is prevalent (in some brands more than others). Here we’re going to go over the benefits and side effects of Yohimbe so that you can better understand this ingredient. It appears that relatively small doses of Yohimbe are effective at stimulating fat metabolism in the body while actively reducing fat storage activity. However, this effect appears to be negated by eating since the hormone insulin is more powerful than Yohimbe. Therefore, for fat loss Yohimbe is most effective during short-term fasting. It’s interesting to note that Yohimbe interacts with the same receptors on fat cells as ephedra. While the exact effectiveness comparison is not completely cut and dry. Part of Yohimbe’s fat loss capabilities are tied to its primary fat burning method which stimulates adrenaline release. This same adrenaline release produces energy, as you would expect. This effect makes Yohimbe a stimulant, one which absolutely potentiates and interacts with other stimulants. Many test boosters include the natural herbal ingredient Yohimbe. However, this is ill-advised as Yohimbe has been found more times than not to have zero effect on test levels. That’s precisely why none of our best test booster choices contain Yohimbe as a primary test boosting mechanism. So if Yohimbe doesn’t raise T, why did Yohimbe get associated with testosterone anyways? Well, Yohimbe is pretty good at increasing circulation to a specific part of the male body. Due to this, Yohimbe is often used as an aphrodisiac and ‘enhancer’ for men. 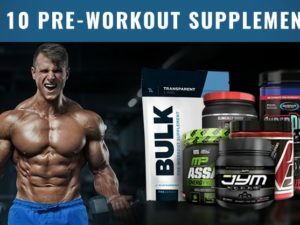 So, the supplement industry made that connection without doing any real research. Cause, if they can make you feel like more a man, maybe you will be fooled. Despite its moderate effectiveness, Yohimbe has side effects that aren’t rare. Here we will go over these sides. For many, these effects may either not be present, or tolerable. But for some Yohimbe supplementation simply isn’t worth it. The primary side effect of Yohimbe supplementation via straight Yohimbe or multi-ingredient supplements is anxiety. Essentially, taking Yohimbe can make you feel off-edge, irritable, uncomfortable, or nervous. This symptom may be paired with some of the others below and can range in severity. While taking Yohimbe, many people increase their level of sweating greatly. This is an increase while working out, as well as the presence of sweating while not working out. This includes sweaty hands. Many people experience elevated heart rate while taking Yohimbe. This is once again experienced while working out, as well as while dormant. I’ve personally experienced extremely elevated heartrate, and sensitivity to elevated heart rate while driving after taking supplements with Yohimbe hours before. There are more side effects associated with Yohimbe, and sub-class side effect of the ones we mentioned above. However, these are the primary applicable ones. Overall, if Yohimbe doesn’t give you negative side effects – enjoy it! It is a proven fat burner. However if you do experience side effects, be aware that there are better options out there for you. Note: most of our highest rated fat burners do not contain Yohimbe, this may be a good place for you to start your search. Either way, we wish you the best! This page is going to undergo steady updates as we compile more information and case studies about the ingredient Yohimbe. Feel free to leave us some feedback below to aid in this info-quest as well as share your personal experience and concerns!